Last week, Dr. Henry Louis Gates, Jr. came to Charlotte to deliver his lecture “Finding Your Roots” and I was project manager of the nearly sold-out event hosted by the Gantt Center. 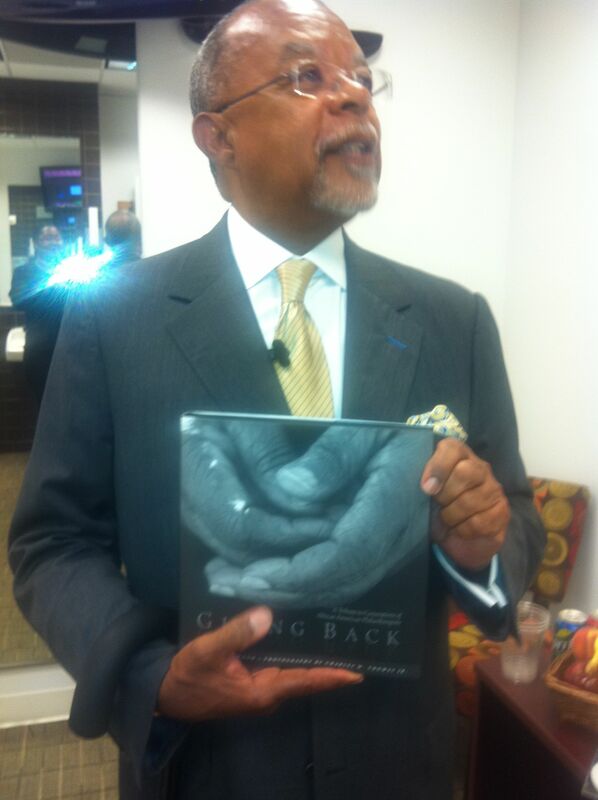 Luckily I was able to share my book as a gift to him . . . and have a friend snap this photo. This entry was posted in Book, Giving Back and tagged African American heritage, culture, Dr. Henry Louis Gates Jr., Gantt Center, Giving Back, history, roots of giving by valaida. Bookmark the permalink.